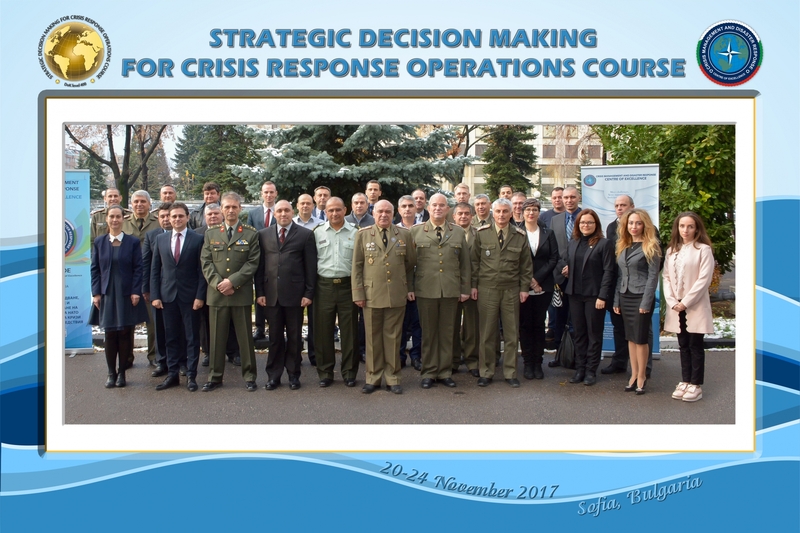 The course provided extensive knowledge related to NATO Crisis Management and the Alliance contribution to a Comprehensive Approach. A diverse group of participants attended the course from a wide range of organizations including: Romanian Ministry of Internal Affairs, Jordan Armed Forces, Bulgarian Ministry of Defence, Bulgarian Ministry of Interior, Italian National Agency for Microcredit, NATO Force Integration Unit Bulgaria, Joint Forces Command, Land Forces Command, National Defence College, Sofia University, AIRCOM HQ, Military Medical Academy. The CMDR COE would like to express sincere gratitude to the guest-lecturers from NATO HQ, Bulgarian Delegation to EU, Romanian Defence Staff, ‘Vasil Levski’ National Military University, Rakovski Defence College and Bulgarian Red Cross. The next iteration of the course is planned from 26 to 30 November 2018.